Marketplaces and prices shown matched UPC number 721773634345 during our search. Ole! 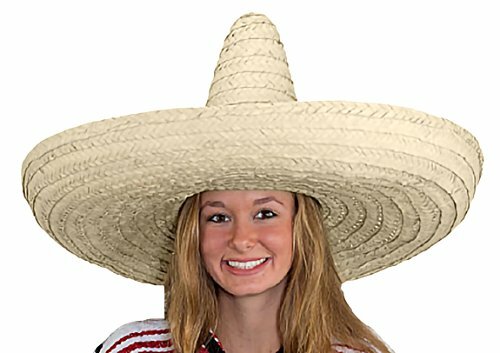 Make out like a "bandit" with this perfect sombrero!This Adult Sombrero will make the perfect addition to your bandito outfit! 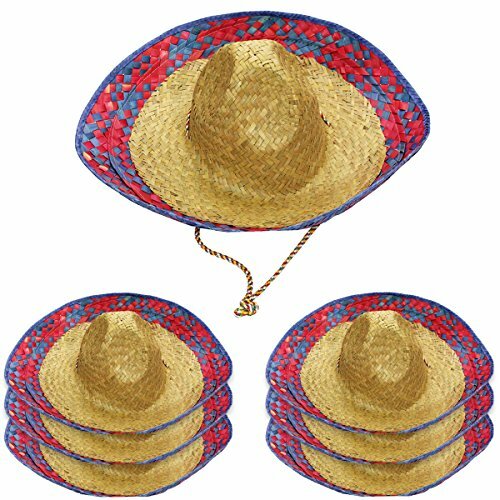 With the addition of a paisano outfit and perhaps a Pancho Villa mustache you will be the hit of any costume party or festive Mexican celebration such as CInco de Mayo or Dia de Los Muertos! Gather together your fellow campesinos just like Pancho Villa did and take your stand: it is time to get your party on! The days of the Mexican-American War may be long gone but you will be able to re-enact those days of revolution! Plus this hat will keep the sun off your face. Dios mio! You will be the main event at your next costume fiesta.This oversize sombrero will make you feel like the head honcho of any fiesta you attend. It makes the perfect addition to a Mexican revolution costume in the spirit of Pancho Villa. Wide black brim lined with shiny silver lining ole! 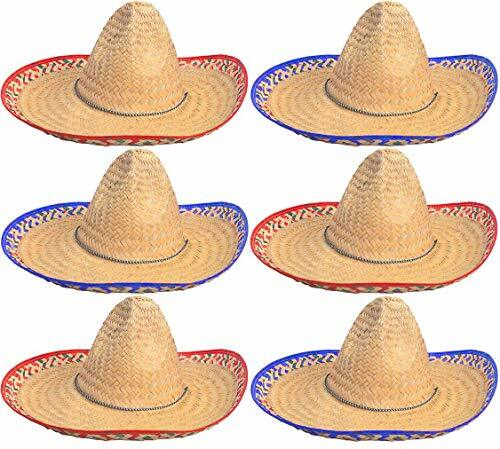 How much will you like this sombrero? Mucho! Includes: Hat. You might want to look like a handsome hero straight from an old Western, or maybe you're topping off a Dia De Lo Muertos ensemble. Perhaps you finally got that part in your local Mariachi band. You might simply want some inspiration when you're working on your Tex-Mex kitchen skills. 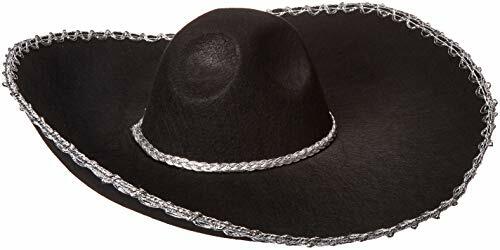 There's no reason you shouldn't have a sombrero, you can take it out on sunny days and it looks sweet hanging on your wall. What's better than home décor and apparel all wrapped in one?